To install this plugin you just proceed the same way you would install any plugin. 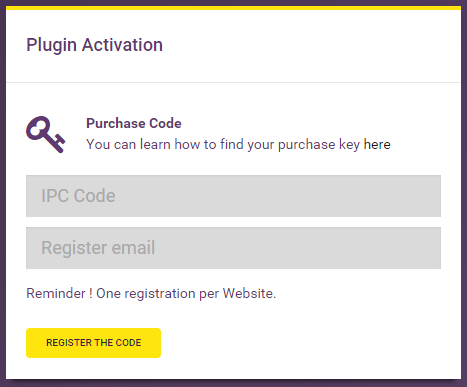 But to activate it you will have to enter your IPC and email in the Plugin Activation box. 1. Deactivate and delete the old version. Install and activate the new version. You settings are saved in your database so you won’t lose anything. 2. Simply overwrite your plugin files with the newest version via FTP.